Shaker boxes are satisfying and can make a good income. 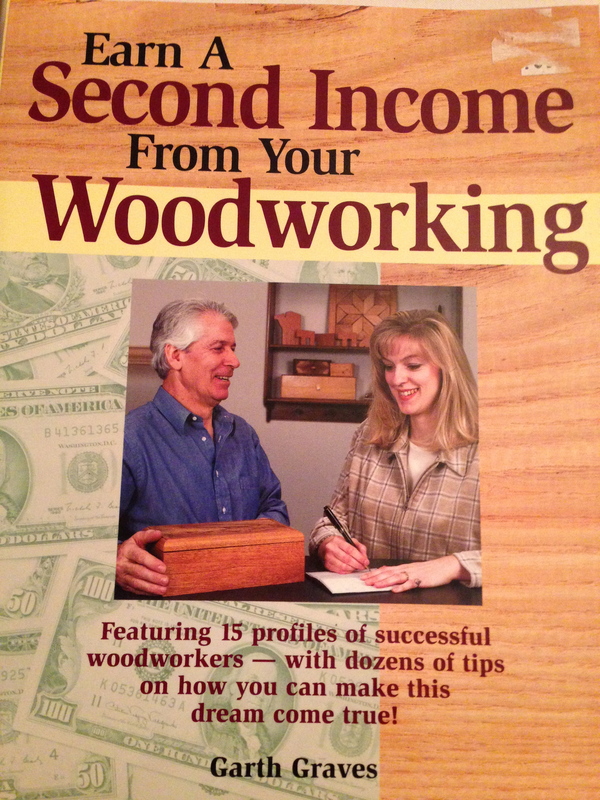 No one is born with the skills to be a successful woodworker! 2. Decide what it is you would do even if you were never paid for it. 3. Figure out how to get paid for it. 4. Visualize yourself being happy and successful doing what you love to do. I am not a New Age guru, not selling tapes, books, or anything else. I am a skeptic. I make decisions based on reason and evidence. I decided at age 40 to quit chasing the buck and spend the rest of my life doing something that would make me happy. That something happened to be woodworking. I wanted to be successful working with wood. I had no idea if I would go broke, or worse. The next 27 years have been the happiest and most profitable of my life. DO WHAT YOU LOVE! 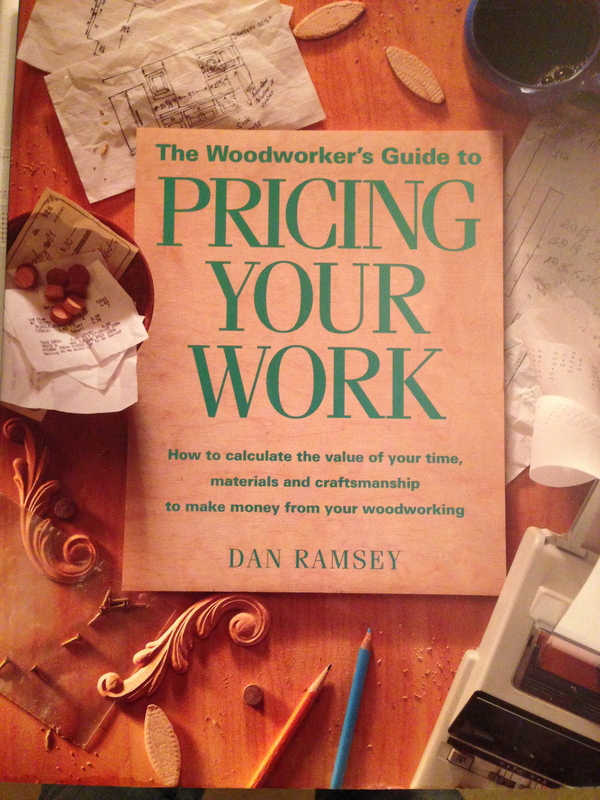 There are many books, videos, and classes on woodworking available. If you would like a list of some of my favorites, send me and email. Below are a few titles. 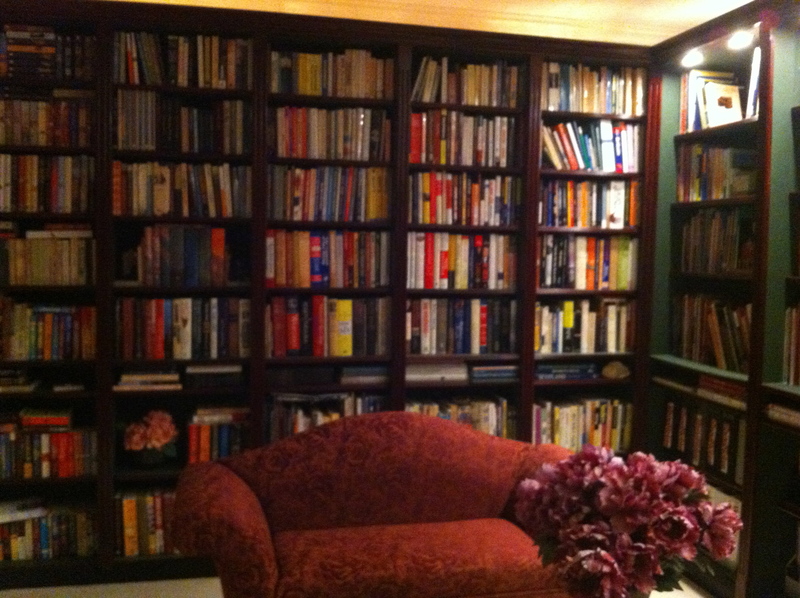 But much more importantly, there are books and videos,and lectures and classes on realizing your dream. I can also send you a list of some of those. “Watering Kids” are craft items that my family and I made by the hundreds. There are many easy-to-make projects that can earn good $. Do your homework, then go for it! With the popularity of big screen TVs and sound systems, the market for entertainment centers and custom case work is booming. Do good work, charge a fair price, and make good money. $2000. profit a week is possible. Money-making ideas are always interesting. They can make it possible to deduct Shopsmith costs as business expenses and lead to big savings. I am interested in ideas to make money with my Shopsmith. The problem is that I have made lots of nice stuff for myself for the price of material (often I have picked up free wood from my father in Vermont because he has a mill and lots of lumber); I hate to charge somebody the kind of money that I should. I worked as an independent light construction contractor for three years and charged enough to clear $15 an hour. The hardest part of the job was delivering the invoice. Normally folks would pay me more than what I charged. But then again, I have never hired someone to work on my house and I build most of my own furnature so I am not used to paying full cost. So I would be interested in making a variety of things that I could give to someone else to sell. That way I would not have to take money directly from the end user. Not sure I would be too excited about going down to the shop every day and making the same thing. In the mean time, I will keep making things for family and friends for free. I understand your concern. 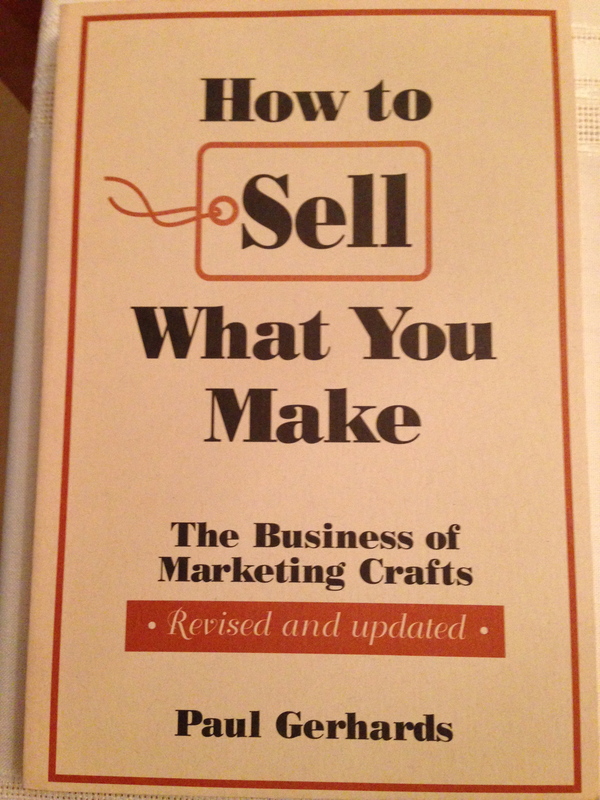 I think selling products is the biggest challenge woodworkers face.I will share some thoughts with you. 2. I took a turning class in Sacramento, and learned that the instructor, a small quiet man from Oklahoma, had his bowls in a gallery in Los Angeles where they sold for $2,000 to $3,000. He said he would never had considered charging so much, but the gallery insisted. (By the way, at that price they are no longer called bowls, but rather “turned objects”, and there are people all over the world that collect them.) The down side, according to him, was that everything he made had to be masterpiece quality, so 80-90% of what he did ended up in the wood stove. No, he would not sell me his rejects. 3. Today, we make custom flooring and cabinets for local kitchen remodelers. The homeowner can choose the species, width, and finish, and the contractor makes more money, and offers something no one else can offer. I also make the occasional custom cabinet, drawer or legs to replace damaged items. I don’t sell directly to the public, take only the jobs I want to, and charge enough to make me smile at the end of the week. 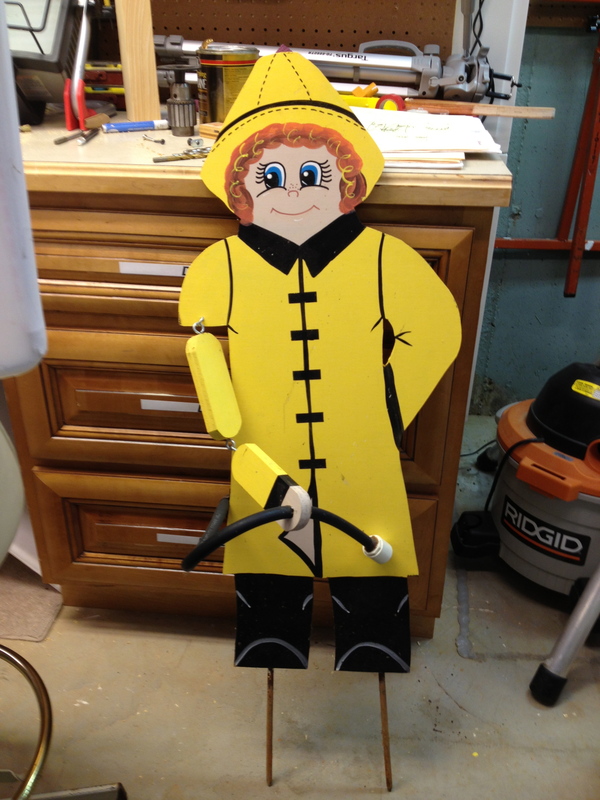 We still host webinars for Shopsmith, and are producing woodworking videos. 3-17 I am exploring making dulcimers and will post when I know more. 4. See Southland58’s comment below. 5. My best advice: only do things you really enjoy; get paid enough to make you smile, and if you like, find someone else to retail for you. That’s really not difficult; just start asking people who sell items similar to what you want to make.They are always looking for suppliers. I am definitely interested in making money with my Shopsmith once I return from Afghanistan. my biggest hurdles are going to be getting materials inexpensively, figure out pricing, how and where to sell/advertise all on a very limited budget. Would you share the plans of the lawn ornaments? I am a new Shopsmith owner and would love to make something with my three kids that we could make a little money with for their future. Yes, Doug. I am interested. It might be fun to do something that in the 3rd phase–I retired from the USAF in 1994 and am about to retire again in about 2 years or so. I teach on the side–college classes and learning how to use my shopsmith to supplement that would be great as I move forward to a more (let’s hope) relaxed phase of my life. Hi, Steve-Welcome back and thanks for your service! If you look at my comment below to Michael, it will give you a lot of good info.If you would let me know what type of woodworking you are interested in pursuing (crafts, furniture, cabinets,home restoration, etc.) and if you are considering part time or full time, wholesale or retails-any details, I may be able to give you more advice and information. Also,I posted the titles of several books that helped me when I was starting out.Good luck, and let me know how it goes! Hi Doug, while I was in Afghanistan I was asked to make several desks and a lot of shelves and it reminded me how much I loved working with wood. I only have terrible plywood and edged it with way too dry 2x4s and everyone loved them. So if I can make good things from bad wood I think I can make great things from good lumber. I have also been watching turning videos and am thinking of making things to sell when fairs and things come through town. I have limited funds so I am going to talk to a friend who has a tree cutting service and see about getting wood from him for bowls and things. I would like to get into cabinetry but I think I will practice on my house first and see how I do with it. at first I will have to start part time but would love to be able to make a living off of working at home. I have heard that wholesale is the way to go and from your comment above that seems to reinforce what I have heard. I do use Kreg Tools a lot and plan on continuing as I move forward with this. thanks for your advice and videos they are very helpful. I agree with most of what has been said so far, but My problem is that I see a lot of things on the stores that are priced way below what it would cost me in time to make. For example; wooden kitchen utensils (forks, spoons, salad stirring forks, etc.) I see a lot of these for sale even in high end kitchen supply stores for under $10 apiece. While I can get inexpensive woods to use, the time it takes to cut out and hollow a spoon and then put on a food grade finish raises my investment in time and materials beyond what people can get elsewhere. Now that is just one example but it also applies to bandsaw boxes, small turnings etc. I have managed to find a few items to make that are sufficiently unique that comparison shopping does not leave me wondering how people can make a competing product so inexpensively because there is no competing product. but these are more in the area of novelty items and small wooden gadgets. All fun to make but not in the mainstream of products that people buy. I also have a bit of a problem that most other woodworkers don’t have to deal with. I am a pretty good technician, but I have no artistic eye at all. I can make most anything I set out to make. But, when I am in the shop, I will try a new technique or make some new thingamajig and when I am done I usually toss the practice piece in the trash bin because they usually have a lot of incorrect cuts or other flaws. My wife comes in the shop, digs in the trash and takes half of the stuff I toss out and applies finish. Most of the items I think of as keepers, are “uninteresting” to her eye. Suddenly things that I viewed as kindling have been sanded, finished and set out in the house. People coming to visit seem fascinated by these objects and many go out the door as gifts. But even so I have no artists eye and certainly have no idea how to price these things. Any enterprise will be dead in the water if we take the “here is why I can’t” attitude. Look online for books or articles on pricing your work. Talk to other successful woodworkers. Read “Do it! Let’s get off our Buts”. Marc Adams started woodworking on a Shopsmith to pay off some debts in college, and now has the biggest and best woodworking school in the country. Jonh Folkerth was a struggling stock broker, saw an opportunity to buy the nearly defunct Shopsmith company, borrowed to the hilt, and reinvented the very successful Shopsmith Inc.
Richard Raffan started as a production woodturner and desperate to pay the bills, learned to turn without ever taking the time to turn the lathe on and off. He is now one of the most prolific turning writers and demonstrators in the world. I have heard from Shopsmith owners who make high end guitars, others who build boats, others who are world renown custom furniture makers. I have had a career in woodworking for 30 years, demonstrating and selling tools, making craft items, teaching woodworking, making videos and producing webinars. I just reviewed these comments, and wondered if you ever made the leap into selling your woodworking products/services? I was reminded of an occasion, many years ago when I took an interim job selling wine.The wines sold for between $10. a bottle and $300. a bottle, and were offered only by the case. I had never paid anywhere near that price, and just could not ask others to. I was struggling. My boss/trainer sat me down and asked me the problem, and I explained that I did not see how you could sell wine at that price, when the client could buy wine for $3. a bottle. K-Mart? First, I couldn’t, and second, I am a craftsman and would not like doing it, even if I could. Go for it! After I retired from the Air Force I decided instead of trying to find a job I would make my own job. I love woodworking and decided to do that to supplement my pension. Now I build things and sell at various craft shows. When I first started I had a Mark V 510 that I use to compliment my shop. There are functions on it that I dont use but I love the machine. I discovered the Shopsmith 10ER and started looking around for them. Found a couple locally and purchased them both to combine into one working machine to use as a dedicated lathe. That machine has paid for itself many times over. Being your own boss is fantastic although it is challenging. If anyone is thinking of doing it I would recommend it, although I would start out working part time making and selling things. I dont think I could make enough to live on if it wasnt for my retirement check every month, at least not quite yet. Without my Shopsmiths I couldnt do what I love so much. I might not be swimming in money, but I do love this job! I couldn’t think of anything else I would rather do. Last weekend I had a large two day event that I was a vendor at and had been working my tail off getting ready for it. I decided to take a few days off after the event so what did I do on my “time off”? Oh I scoured the internet looking for pen blanks, bought some parts for another ER I am restoring, piddled around in the shop, and just general researching things for the business. Yea I love my job, there is just something about people buying things from you that you made with your own two hands with their hard earned money that is very humbling and thrilling. That, in my opinion, is the ultimate compliment! 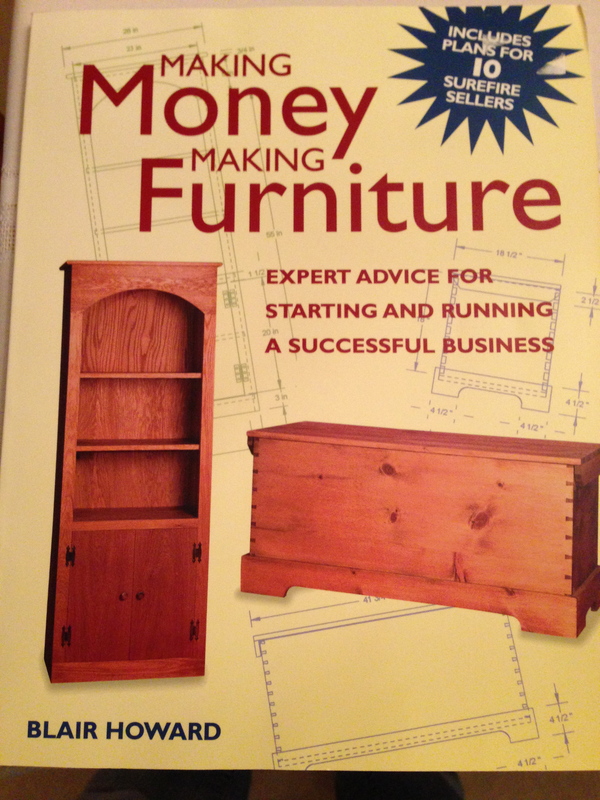 Hi, Kevin; just a quick follow up…how are things going now with your woodworking business? I am primarily a turner. I do an occasional furniture repair since I did that for a living for 17 years. I started doing craft fairs 10 years ago just to reduce inventory as my wife calls it. 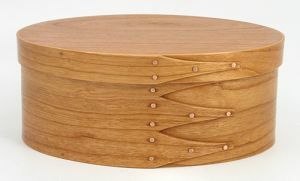 My small lidded boxes and segmented work sell well. Now that I am retired, I plan to expand the show circuit and some juried events. I am new to the world of shopsmithing. Already I have speeded up production time on pepper mills thanks to the shopsmith. I like this site, but would like to see more. Post more often? That is one of my goals in the next year. Any suggestions for topics? In the meantime you can look at my youtube videos, and/or join one of my webinars. Contact me for an invitation: shopsmithdoug@gmail.com. Hi Doug—Are you still on here? I love your videos and all the advice that you make available. Oh, do you still sell for SS? Hi Karen; yes I’m still here and still selling for Shopsmith. I’m glad to hear you are enjoying the videos. Anything I can help you with?